Read more: When Should I Have Regular Maintenance Done on My Car? A vehicle’s payload capacity is the amount of weight the vehicle can carry within its cabin or on the truck bed. Anything you put inside your vehicle, whether it be cargo or passengers, counts towards the vehicle’s payload. The payload capacity of a vehicle, in general, is less than the vehicle’s towing capacity because the entire payload weight is weighing down on the vehicle’s wheels. Going above your vehicle’s payload capacity can put unwanted strain on your vehicle and lead to damage. Towing capacity is the amount of weight your vehicle can pull behind it and is often much higher than the payload capacity, as the weight of what you are towing does not rest on the frame of the vehicle. 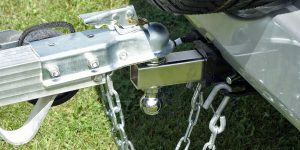 No matter how you tow something, whether it be a frame-mounted receiver hitch or an in-bed hitch, it all has the same impact on your vehicle’s towing capacity. The towing capacity of a vehicle model can vary between trim levels, despite the vehicles sharing the same model name. This is because the towing capacity is impacted by the power of the vehicle’s engine and the vehicle’s configuration. Read more: Where Can I Sell My Car in Cleveland? Understanding the payload and towing capacities of your vehicle is key to keeping your vehicle running properly and safely. This guide from Auto Simple will help you understand what the difference is between payload and towing, so you know just what goes into both weight capacities. Are you looking for your next pickup truck? Visit our online inventory to view our lineup of pre-owned pickup trucks to find your perfect fit at one of our Auto Simple locations.